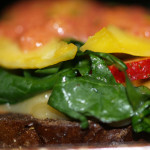 I had hoped to create this mango/watercress/hummus grilled cheese for last Sunday, when my father told me he was not a fan of hummus. I was short on time and forced to come up with a new grilled cheese. The local Whole Foods just started having Sunday brunch, and since I was headed into work at 11, the folks and I decided to go. 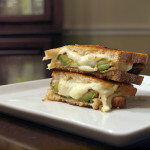 While there, I was trying to devise a plan for that evening’s grilled cheese but my mind was on getting to work on time. With some more thinking (and time), this is what I came up with. The sous chef purchased Muenster since it was on sale and because it was from Finland, as opposed to the USA, where Muenster usually originates. I was hesitant to use it because I wanted to try something different and a little more unique. (Honestly, I was being a bit of a cheese snob.) However, I am glad I did. This variety of Muenster was buttery, creamy and definitely mild. 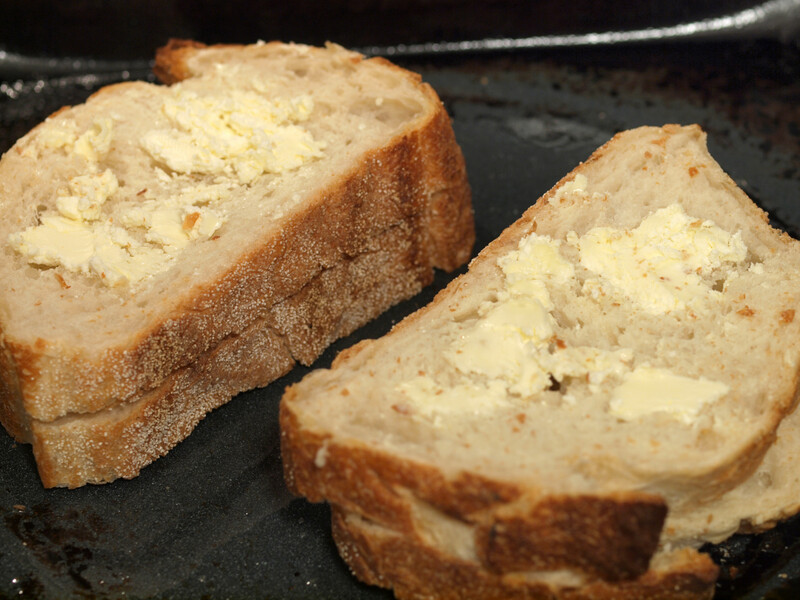 It worked perfectly in the grilled cheese and would even be great sliced and on crackers. The only adjective that I believe is missing from the above description is nutty. That was the first flavor I tasted when sampling this particular Santa Teresa cheese, purchased from Whole Foods. 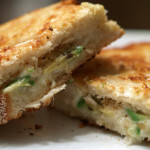 I stumbled upon this particular cheese and then was convinced by Jason the cheesemonger that it would be a great choice for this particular grilled cheese. He was correct and I was wise in choosing this as opposed to Smoked Gouda. For brunch, our local Whole Foods serves a breakfast burrito with a side of chipotle salsa. While eating the burrito, I realized that my favorite part was in fact the salsa (although the burrito was pretty good). 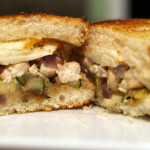 At that point, I thought, why not use the chipotle salsa in a grilled cheese sandwich? Perfect idea. However, that was the only idea I had. (A headache was slowly growing.) 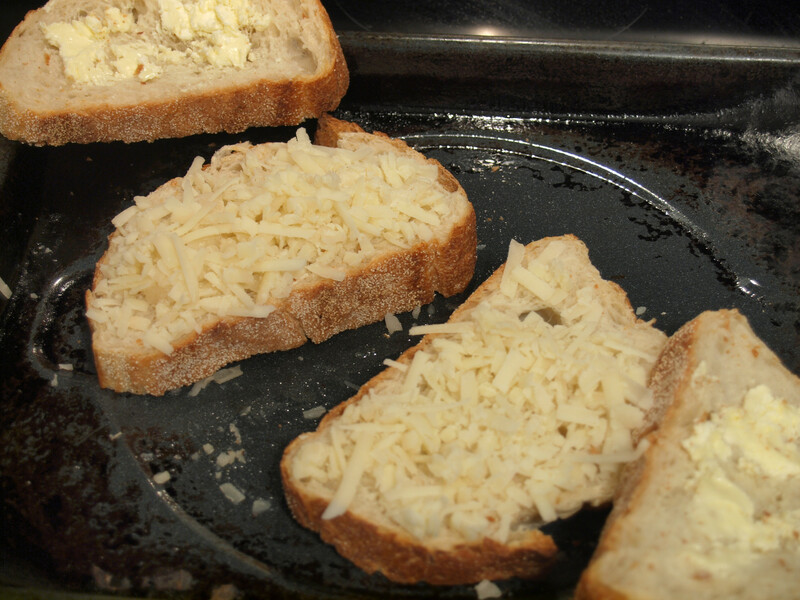 I didn’t know what to cheese to use or bread. That would have to wait until after work and I was a little more calm. I returned to Whole Foods after work for some more inspiration, hoping to find additional ingredients, bread and cheese. 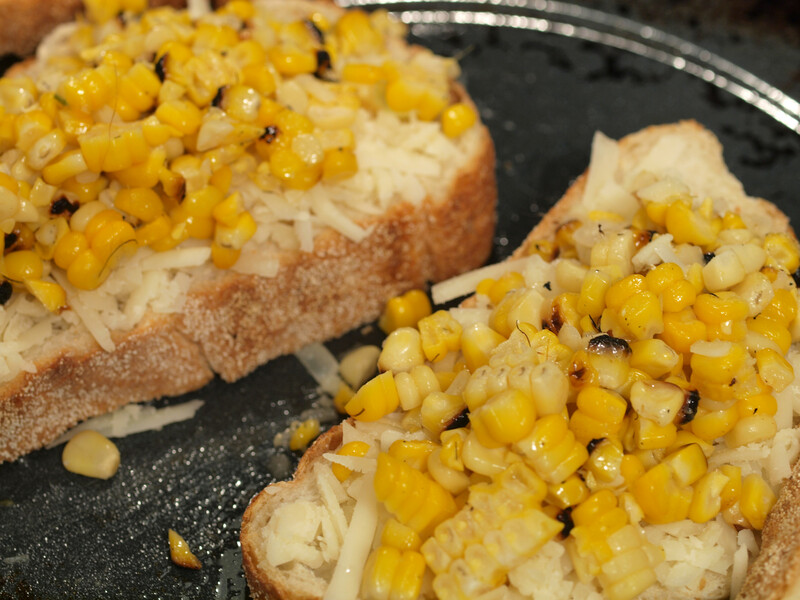 While perusing the produce section, a light bulb appeared over my head: why not roast corn and include it with the salsa, making somewhat of a roasted corn chipotle salsa? My father had already purchased corn from a local farmer’s market so we were set. We just needed to boil the corn and then cook it on the grill. 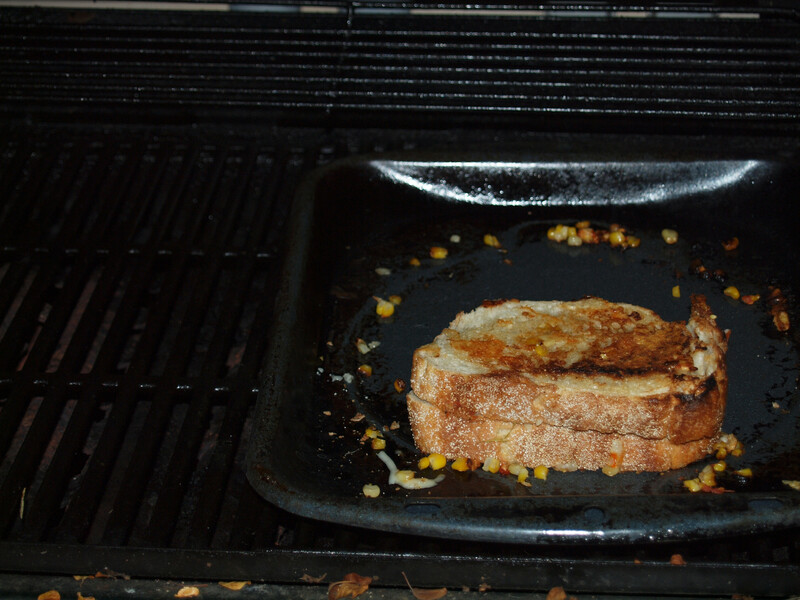 With the grill already on, it only made sense to also grill the entire grilled cheese. The final piece of the puzzle was the bread. While I was unable to think at brunch, Whole Foods had a variety of breads to choose from. However, after work, when I could think, they were out of most everything. Thankfully, upon the sous chef calling, Whole Foods volunteered to bake an Italian bread that was already prepared for the following morning. I have created grilled cheese sandwiches last minute but most have not come together. Thankfully, this one did. Not only did I love this grilled cheese, so did the father. 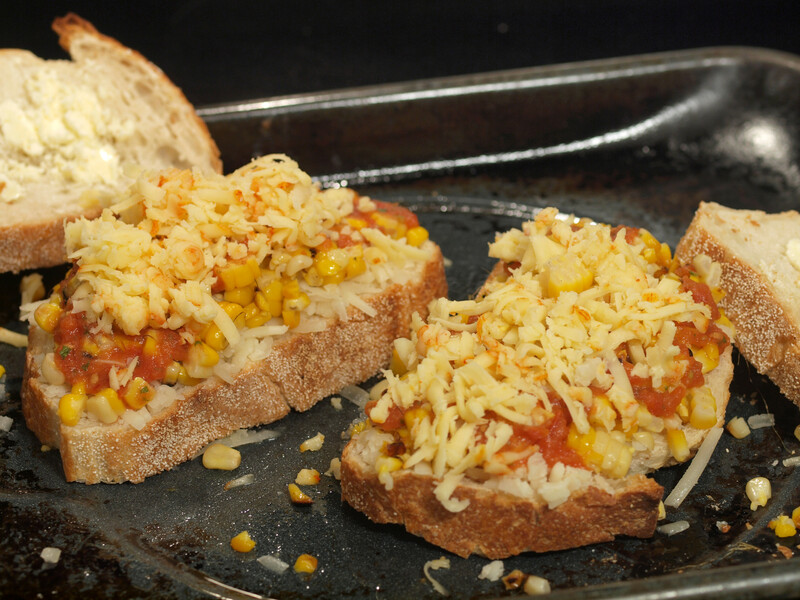 We included a light layer of salsa in the sandwich but also put some on the side, which was a great idea and allowed each person to increase the spiciness based on personal preference.. 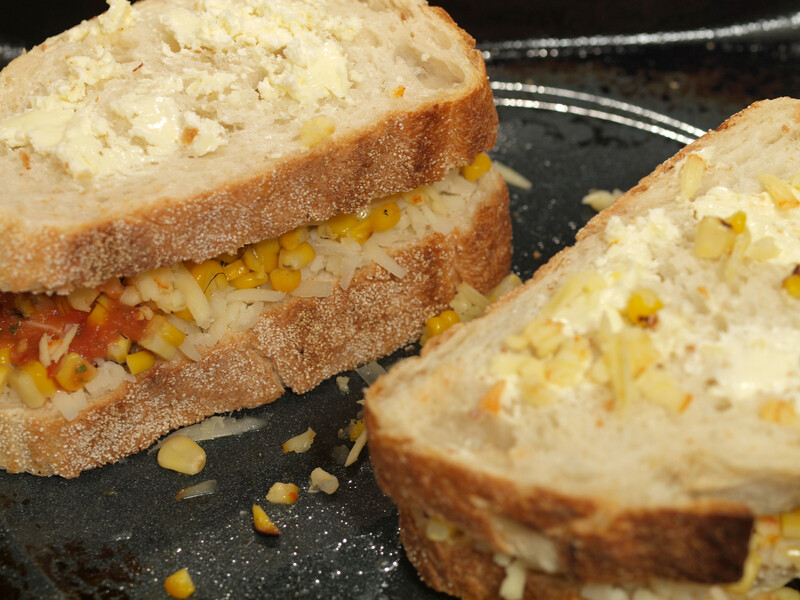 The smoky flavor from the roasted corn, spicy flavor from the salsa and smooth, creamy flavor from the cheeses combined to make an amazing grilled cheese sandwich. 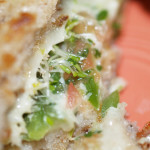 The pairing of the Muenster and Santa Teresa worked brilliantly. 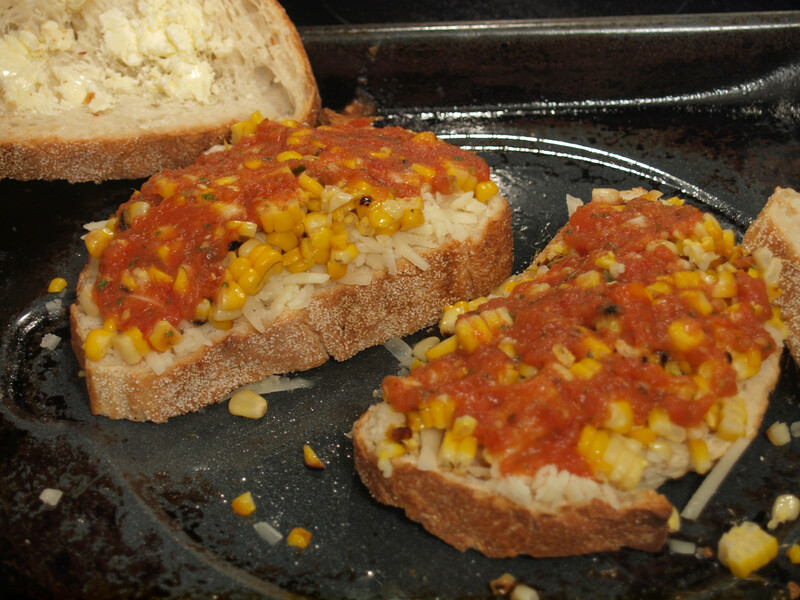 The bread was crunchy and allowed the ingredients to shine. 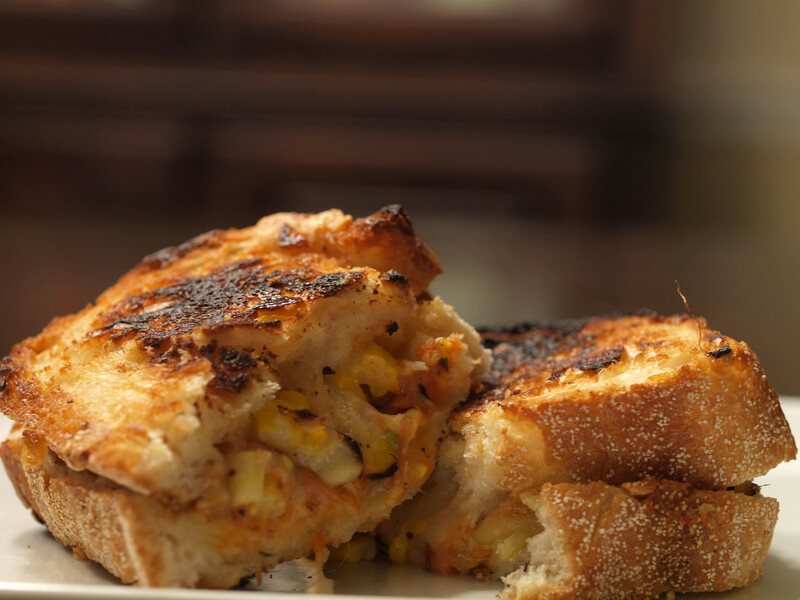 I took as long as I could to eat this grilled cheese simply because it was so good. My father liked it so much he ate a bit more than half for dinner (he normally only eats half) and finished the grilled cheese for a snack later in the evening. (He is a diabetic so he needs a nightly snack.) 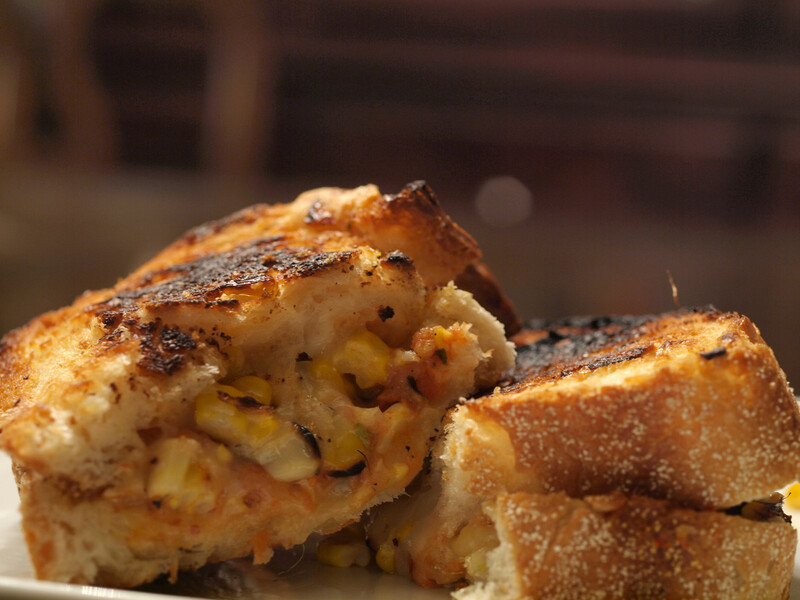 This was a winner in every sense of the word and I would highly recommend you try this grilled cheese for yourself.